Fill out the Testing Application below in it's entirety. Once we receive and review your completed application we will email you to let you know if your application has been approved! Upon approval, you will go online and pay your testing fees. After you submit your application make sure to review the information at the bottom of this page so you can prepare for your test! Your test will cover the items below. Be prepared! This is the first phase of the exam. Black Belts will be graded on the following curriculum. You must pass this section to continue to the second phase. Three years continuous training after receiving 2nd degree black belt and required testing curriculum. Letter of recommendation from one or your 1st degree black belts. Fours years continuous trying after receiving your third degree black belt and required testing curriculum. Letter of recommendation from a second degree active student you promoted and 4 letters of recommendations from active first degree black belts. 5 years continuous training after receiving your fourth degree black belt and required physical testing. Letter of recommendation from a third degree black belt you promoted, a recommendation from a second degree black belt and first degree black belt. Also two letters of recommendation from two third degree or higher black belts not in your system. A minimum of 5 years between ranks. 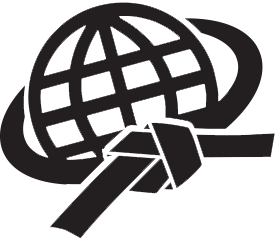 Letters of recommendations from 3 Black Belt International Instructors of higher or equal rank. 3 letters of recommendation from students of fourth degree and above.